Have you ever asked yourself: what’s the plan for my life? Is my work fulfilling and serving a higher purpose? Am I using my skills and talents to the best of my ability? These questions and more are challenges people face every day. How does one navigate the complexities of life and find fulfillment in their work? While there are many avenues one might follow, having a satisfying career may not be as big of a leap as many believe. There are many resources available to help a person understand themselves at a deeper, core level. Some focus on an individual’s psyche and defining or discovering who the person is vs who they want to become. Others give practical strategies and techniques for professional development to reach specified goals and milestones. And still others may simply encourage individuals that the “pursuit of happiness” is not as far-fetched of a dream as the naysayers make it out to be. 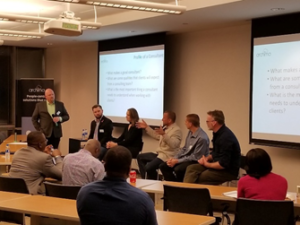 Recently, Archima Solutions held an event with a goal to not only encourage, but also offer realistic guidance for career changes. The audience included students, those looking for a career change, and even some US military veterans. The objective was to help identify the skills necessary to be successful in the world of consulting—specific to Salesforce CRM. So, what is Salesforce? How in the world does that relate to a more a fulfilling career? Well…read on my friend! Let’s start with the first question. Ok, I hear you! SO WHAT?! How does this help ME? Well…I’m glad you asked. Start NOW! Why Wait? Gone are the days when you must spend countless hours applying to a program or investing thousands of dollars to enroll. Salesforce offers a FREE online resource (Trailhead) to learn about its products and ecosystem. You can even take it a step further and become certified (for a nominal fee per exam—typically $200, but much cheaper than traditional offerings). So you ask: “What’s the catch? There must be strings attached.” Yes, there are! The catch is that you take your new-found knowledge and go into your workforce and community to make an impact! You can even learn in your spare time. Don’t waste this valuable opportunity by never using it! Be Inquisitive and GIVE BACK. There are many “smart” people in the world. The question isn’t how much knowledge you have; it’s can you solve a real-life problem. Maybe that’s in your workplace to increase sales or improve how you service customers. Perhaps that’s in the global community to improve clean drinking water in impoverished nations or combat human trafficking. Whatever the situation—listen to the needs, challenge the status quo, and engage others to move towards improvement. Trust YOUR capabilities and FUEL your passion. Although Salesforce is known as a technology platform, it’s really an entire ecosystem. No matter your passion, interest, or desire, there’s something available to you. Perhaps you love to craft messaging and talk with customers—consider Sales & Marketing roles. Or do you enjoy the big picture or how the pieces fit together—try an Architect or Admin path. Or are you a self-professed techie and love to get hands-on building apps and developing code—explore the traditional Developer path. (Heck…build an app for free in a Salesforce development environment) Or maybe you’re wired to lead people and organizations to drive business process improvement—consider a Business Analyst role or even become a thought leader. 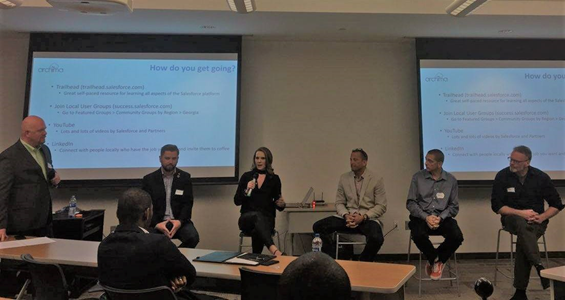 For whatever drives YOU, there’s a role within the Salesforce ecosystem to leverage your passions and skillsets. You just need to BELIEVE in your own ability. Cut your own trail. “The world is your oyster” may sound trite, but those who embrace its meaning have a greater chance at fulfilling their purpose. Jump into the deep end—learn as much as you can, attend networking and community events, clean up your social profiles (e.g. Facebook, LinkedIn), don’t overlook any opportunity to apply your skillset, and keep pushing towards the goal. Where your passion meets a need is where your purpose can be found. So don’t give up on that dream! Joy is a state of being and ultimately a choice that we all can make. Looking on the bright side of life isn’t simply a cliché and you have the power to go beyond your present circumstances. If you are content with your current state, that’s amazing but don’t allow complacency to stop you from achieving a higher goal and ultimately completing your mission. Remember: where your passion and a need meet—therein lies your PURPOSE! Stay connected to Archima Solutions for future updates and upcoming Trailblazers of Tomorrow sessions. You can even join the group on Meetup. 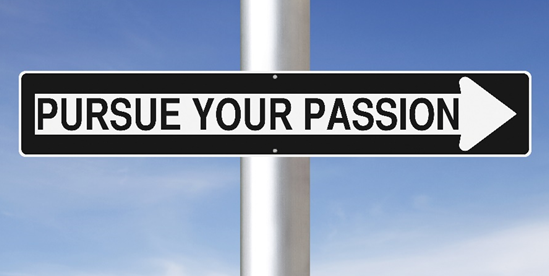 OUR passion is to help you find YOUR passion—wherever in life that may take you.